Chatuchak Weekend Market is still pretty much the undisputed king of all markets in Bangkok. The scale of it is pretty unbelievable - it covers an area of 35 acres, contains more than 15 000 shops and stalls, has over 200 000 visitors each day, and they spend an estimated total of approx US$750 000. The range of products on sale is extensive, and includes household accessories, handicrafts, religious artifacts, art, antiques, live animals (which unfortunately are frequently caged in cruel conditions), books, music, clothes, food, plants and flowers etc. 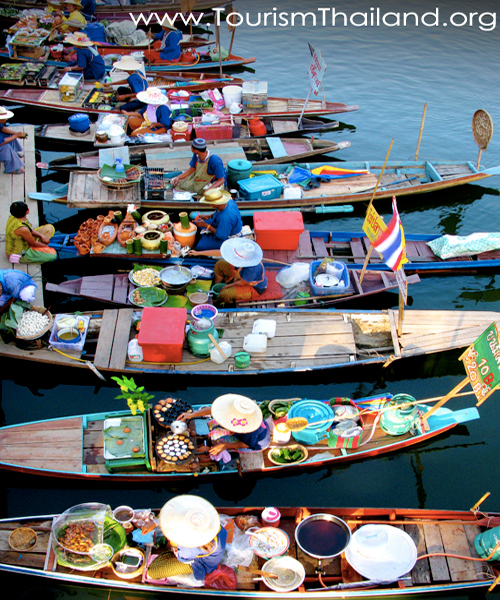 Damnoen Saduak Floating market is a popular attraction some 80 kilometres west of Bangkok via Samut Songkhram province, accessible by regular bus from the Southern Bus Terminal. Everyday hundreds of vendor boats crowd the market area in the early morning till noon. Visitors can also travel around by boat to see local villages, and the way of life of the people in the countryside. Some 10 kilometres beyond Damnoen Saduak is Tha Kha Floating Market where small boats laden with fruits and vegetables assemble for business every Saturday and Sunday morning. With 550,000 square metres of retail space and a total area size of 830,000 square metres that is 30% larger than any other shopping centre in central Bangkok, CentralWorld is now officially the largest lifestyle shopping complex in Southeast Asia, with an unrivalled mix of products and services at prices that put the fun back into shopping for Thai consumers and tourists. The Emporium is like a glossy magazine come to life. Behold the seven layers of shopper's paradise, where the first three floors are dedicated solely to fashion. Exclusive world-class brand names dominate the ground floor, hot international designer items, leather and jewellery the first floor, and glamorous garb for the young and trendy, the second. Fashionistas, this is your playground. 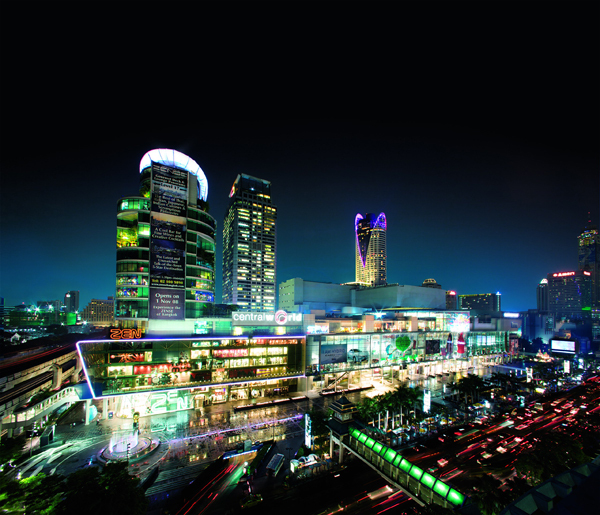 Bangkok 's latest, hippest fashion trend and international labels showcase here all under one roof. 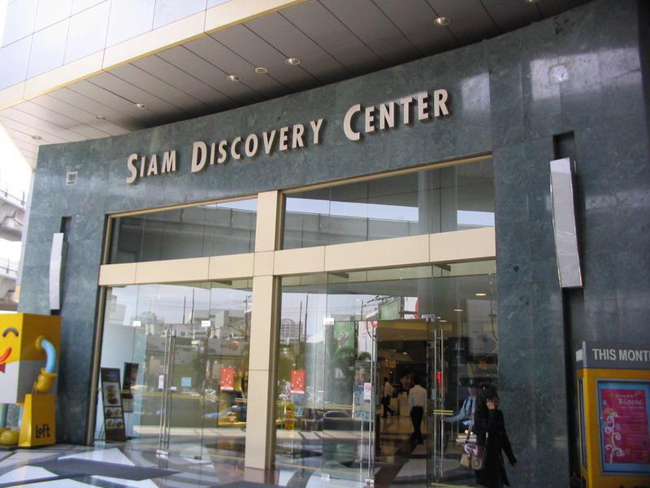 The birthplace of A-list and upcoming Thai designers for over 3 decades features 50 famous top Thai designers and 250 international fashion and leather goods as well as trendy cosmetics, beauty salons and extreme sports apparel and accessories. Shop-a-thon and savor in a day of gastronomic fun from numerous Thai and international culinary delight, including many chic cafes and ice cream parlors. Enjoy free concerts, fashion shows and entertaining activities every weekend. 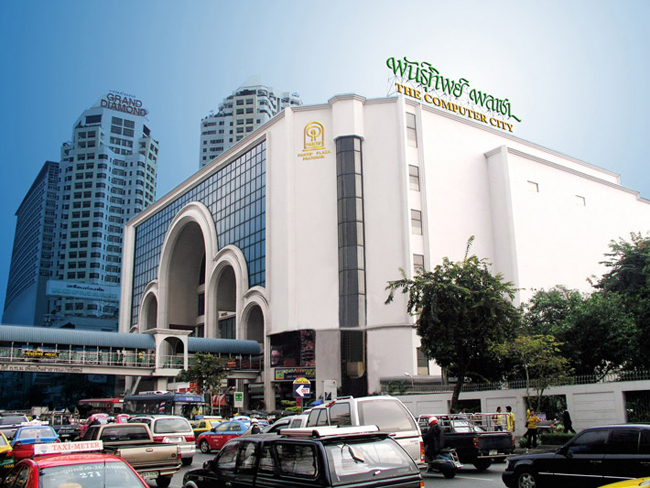 The “One Floor One Concept” center offers the finest selections of 200 specialty stores of international fashion, chic home décor, audio and home entertainment, digital innovation, fine dining outlets and hip Thai gifts and souvenirs. 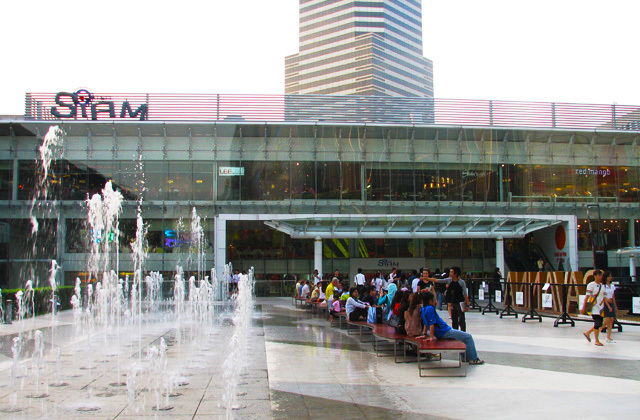 Enjoy shopping at the 2,000 sqm the one and only “Habitat” in Asia . Find more than 10,000 items of extraordinary design gifts at “Loft”, the specialty store from Japan . Complete sensational experience at Grand EGV, 6 luxurious Cineplex with total capacity of over 1,500 seats. 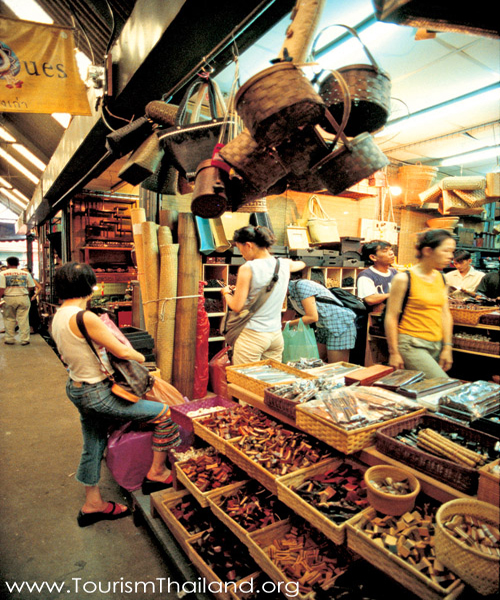 The multi-storey MBK, or Mah Boon Krong, is very popular with both tourists and locals. Its 2,000 shops sell everything from food, clothing, accessories, handbags, leather products and luggage to furniture and various electrical gadgets. 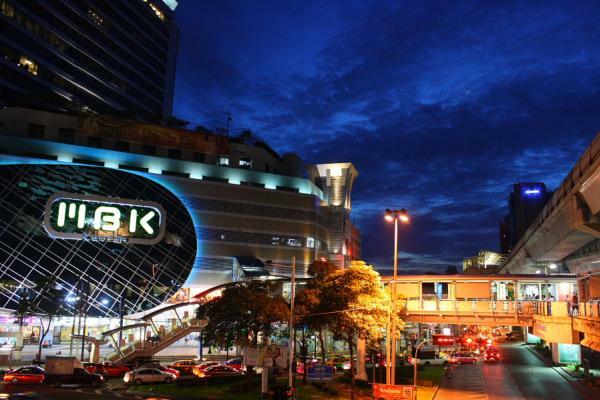 MBK is especially crowded weekends, when holiday shoppers combined with holiday makers converge on MBK for some serious bargain hunting. 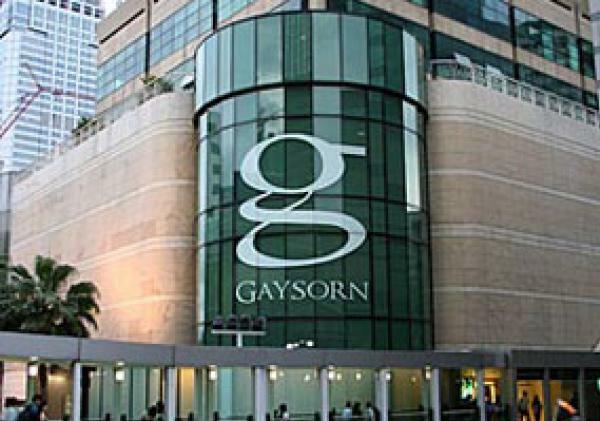 Gaysorn is a luxurious, upmarket white marble and gleaming chrome complex housing exclusively high-end luxury goods and designer labels. 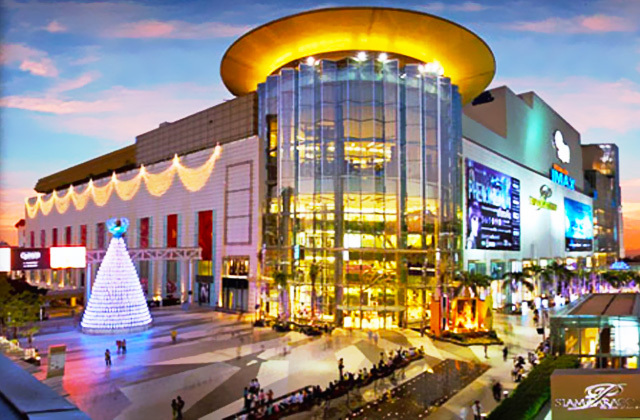 Its contemporary design and an innovative retail concept create a very exclusive shopping experience. 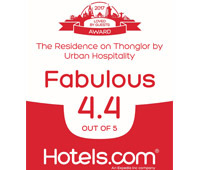 Expect to find a wide range of highly desirable international brands like Louis Vuitton, Gucci, Prada and Hugo Boss, to name but a few, as well as a selection of Thailand's most innovative designers such as Fly Now, 'Senada Theory and Kloset Red Carpet. 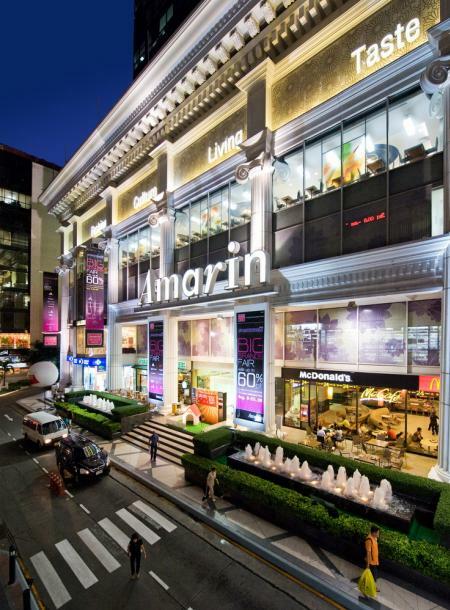 The stylish Amarin Plaza is linked to Erawan Bangkok via a skybridge. 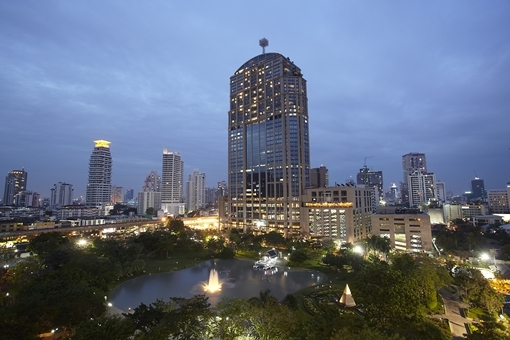 The five-storey shopping plaza has an almost festive aura to it, drawing in a mixed crowd - from affluent Thais to expats and business travellers - with highly desirable brand names such as Guy Laroche, Valentino and Crocodile, to name but a few. There are dance studio on the upper floor as well. A mixture of poshly dressed, fresh-from-the-office Thai's and expats along with fisherman pant-clad tourists, Suan Lum could best be described as the VIP outdoor market of Bangkok (where you're always welcome, of course). Covered walkways with centrally-located snack bars provide perhaps the most luxurious (outdoor) market shopping experience in the city. Several bars along with Thai, Italian, German, and even Mexican restaurants are conveniently within the market area, close enough to analyze the crowd while enjoying a drink, yet away from the market's hustle-and-bustle. In the same area, dinner shows featuring classical Thai puppetry can be enjoyed at the famous Joe Louis Puppet Theatre.